This entry was posted in The James Dean Tribute Edition and tagged A.D. Winans, A.J. Huffman, Ali Znaidi, Alice Stuart, Ann Walker, Anne Rice, Antonia Alexandra Klimenko, Bart Harris, Becket, Chie Yoshii, Clay Tidwell (David Hoffman), Courtney Bingham, Daulton Dickey, David Lloyd, Debra Christofferson, Derek Frey, Eli Brocius (Nick Brown), Elizabeth Massie, Ephraim Younger (Michael Anastasia), Fabio Interra, Frances Callier & Angela V. Shelton, Fred Larucci, Frederick Cooper, Heath Brougher, Howie Good, Ian Ayres, Jennifer Firestone, Jeremy Sumpter, John Grey, John Henry Hoyle (John Lehr), Jonathan Maberry, Judith Skillman, Julie A. Dickson, Kazuhiro Tsuji, Kevin McLellan, Kimberly Biggers, Kit Kennedy, Krikor N. Der Hohannesian, Laura Eklund, Linda D. Addison, Linda Lerner, Livinia Webb Dunlop Doe (Tasha Ames), Luke Hillestad, Mamta Madhavan, Maria Masington, Michael Ceraolo, Michael O'Keefe, Michael Xavier, Mike Adkins, Mike Allen, Mike Bailey, Paul Tristram, Pearl Starr (Alexia Dox), Peter Cornell, Peter Stahl, Phillip Ward, Ralph Stanley, Richard Fortus, Richard King Perkins II, Robert Parigi, Ronnie King & Jack Grisham, Scott Murphy, Scott Schwartz, Sean Gunn, Skip Fox, Stephen Byrne, Teresa Elliott, Thomas Ligotti, Toby Froud, Tom Bagshaw, Tracii Guns, Vernon Shank (Bob Clendenin), Wanda (Kate Frisbee), Wendy Froud. 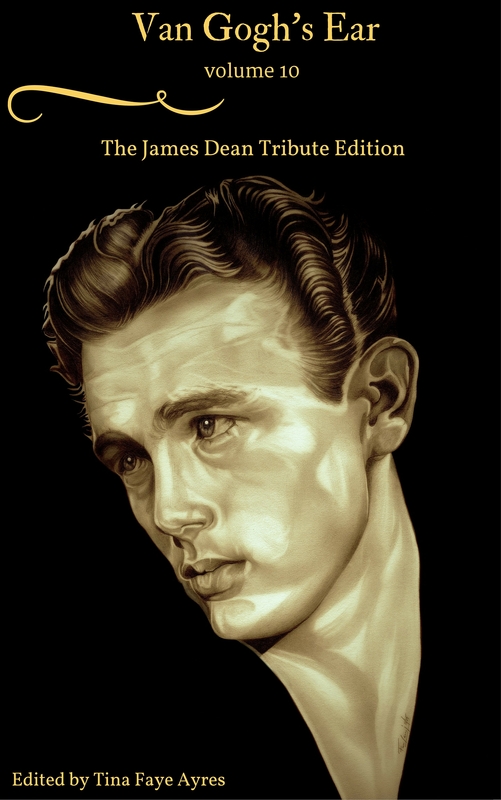 Fascinating new insights on James Dean!